The self relationship is the most important relationship you have. It relates to how you treat yourself. Your self love; self worth; self confidence, self value and self respect. It is the basis and foundation that determines how you interact with others. So it would go without saying that it is vital to have a healthy self relationship if you are to lead a happy, fulfilled and empowered life. As well as having healthy professional and / or personal relationships. Many people have never been given the tools or foundation to create a healthy self relationship. And for many who have, or are in the process of building this, can tend to easily get lost. Which results in them loosing or letting go of their sense of self. Whilst this can occur in any situation it is more prevalent in romantic relationships. And something I often hear is women (yet man can too) “I don’t know who I am, I’ve lost me”. When we loose our self we loose the essence of what that person fell in love with. From working with so many clients I have come to understand that whether it is in a work environment, friendship or romantic relationship that when a person has lost themselves they become unhappy in the situation and often want to make change and move on. Boundaries are simply what you are and are not willing to accept from others. It is the threshold of what is ok, which allows you feel empowered, joyful, at peace and in alignment with your true self. As boundaries are fundamentally what is, and isn’t, ok for us. They will differ for each person. Usually it is what we really need to say no to rather than saying yes. As long as your boundaries do not purposefully hurt another, they can never be right or wrong. how loving we treat ourselves and how loving we can be towards others. They really are the most loving thing we can have and implement for ourselves and others. Because when we don’t we ultimately become resentful of that person or place. Whilst it is healthy to take into the consideration of others priorities and needs, in all relationships it is important. However when it is continually at the detriment of your own then you are fundamentally saying you are not important. Priorities can be your friends, clients, writing, reading, going to the beach. The things, people and places that contribute to your happiness and what makes you YOU. Needs are what you require in order to live a healthy life or have a healthy relationship. Most people accept what is on offer settling for less than what they need. Humans are teleological, which means we have a natural, inbuilt goal seeking drive. If we are not out seeking our own goals we tend to help and support others to seek theirs. Which often happens in careers and relationships. Of course we can support others in their goals however not to the point where we put our own aspirations and goals on the back burner. Your identity, who you are, the choices you make and how you distinguish your self is determined by what your values are. Values are the elemental principles that you live by. They epitomise what is important to you and are closely supported by your beliefs. From the ages of 7-14 you are in the “Modelling” period of your life. What this means is you will consciously or unconsciously chose a person or people to emulate and therefore take on many of that person’s values and beliefs. Values determine your choices, your behaviour and thus the actions you do or do not take. When our value systems do not match with someone else you tend not to like them. So in order to be liked you may change your values to match theirs. However when you go against what it is you values you will create dissonance (conflict) within your self, which fundamentally makes you unhappy with your self and others. Your primary and main commitment must be to yourself first. It is your duty and responsibility to keep promises you have made to yourself. As well as standing by your decisions. This is not about being selfish and it is not about being selfless. Neither end of the scale are healthy. What is healthy is ensuring there is a balance between both. Because if you are not filling up your own cup first you will not have the required energy to keep yourself healthy whilst filling up others. Primary commitment to your self means honouring who you are and who you are not. Being your own champion by supporting yourself; advocating yourself and protecting yourself. Much of which is done by prioritising yourself; ensuring you are meeting your needs; taking actions towards your goals and standing by your own values and beliefs. Yet too it is following through on the promises, tasks and arrangements you have made for yourself. Not putting them aside because some thing of a lesser importance also needs doing. If you have lost yourself consider in what way specifically you have lost you. What is it that you have stopped doing that brings you joy and makes you happy? Perhaps re-read over the above and make notes as to how each of the five areas resonate with you. What are you doing or giving your energy to (or perhaps who) that doesn’t make you feel good? Then consider what actions you need to take, what support do you need or what could you put in place to change this. Consider, and remind yourself, who you actually are instead of who you are not. A client said “I’ve just got to accept I am insecure’. I said “With what I observe, you are one of the most confident and secure people I know.” Too often people have a negative sense or view of them self which is not a true perception. From a spiritual sense reclaim your self by calling your spirit back. Whenever we interact with some one or thing we exchange energy and we can leave fragments of our energy. Calling your spirit back is a Native American concept to return your fragmented your energy which has been left with people, places and situations, so that you are able to be whole. In the times that I have found the need to call back my own spirit, I have felt a shift in my energy and a return of inner strength. It has enabled me to let go of matters that were playing in my head and that were lowering my vibration. It has also helped me to remember who I am and embrace it. Many people easily loose themselves, even when they know the concept. In my observations both men and women do it; yet women tend to be better at it??!! Raising your awareness is a great antidote for not getting lost as well as creating habits that honour yourself. Also it is usually a pattern that has been created in childhood and reinforced over the years. The goods news: when you reinforce a new pattern of maintaining your self so you are unlikely to loose yourself again, in time, it just becomes the new standard. This entry was posted in Relationships, Spiritual and tagged Feeling lost, Finding myself, Loosing yourself, Lost, Lost me, Lost myself, Lost self, relationships, Self Confidence, Self Esteem, Self Love, Self Relationship, Self Respect, Self Worth on 01/02/2019 by Lisa Westerlaken. Grief is an emotion which is not only attributed to someone dying. In fact it is associated with any change and adjustment, particularly those of a major and/or emotional nature. When a person is experiencing grief typically those around them (friends, family, associates) are unsure of how to brooch the topic, uncertain of what to say, or what do. One statement which is typically used is that “time heals all wounds”. gives you the opportunity to discover techniques which makes it easier to navigate your wounds, grief and pain. Which means those who are electing for option 1 (above) will simply store the emotions, replaying and duplicating their grief within the coding of their cells. Such information / wounding festers waiting for the “right” opportunity to bubble to the surface, which typically is at an inopportune moment. Ultimately allowing time to heal the wound is a dis-empowering and unhealthy option. The emotions need to be expressed in order to be released. In having awareness of what the emotion is, we can name the emotion and therefore explore the emotion. This is how we move forward. Denial is a conscious or unconscious to not being willing to accept the situation where the person can isolate themselves due to their refusal of the situation. It can be due to their disbelief that the situation is happening and tends to be a defence mechanism which is masking the person’s shock of the situation. A person will use anger as an emotion to deflect from their vulnerability of the situation and it can manifest in various ways. They can be angry at themselves, at those close to them or those who were involved in the situation. Endeavouring to be non-judgement with those in this stage of grief and remaining detached can assist both, all, parties. This is where the person yearns for what has been lost and is categorised by the “if only” or “what if” statements. It’s where we want the situation to return to what we knew it to be, to be able to go back in time and do something different so a positive outcome happens. Guilt is often an emotion experienced in this stage, as the person thinks of what they could have done and feel guilty for not having done it. Here the person is preparing to bid farewell and is an indicator that the person has begun to accept the reality of the situation. It can be described as acceptance with emotional attachment and it is natural for the person to experience feelings of sadness and regret, fear and uncertainty. Usually this stage is marked by a calmness and acknowledgement of the situation, recognising that this is their reality and thus now living with the permanence of the change. The person has re-adjusted to life as they now know it and are allowing themselves to make new connections and to enjoy life again. Grief is a very personal thing and everyone grieves differently. The stages do not necessary occur in a specific order, nor is there a time limit or potency set for each stage. Also it is possible for a person to experience a stage more than once. Being a kinesiologist, I think it natural for this to be my number one suggestion for moving through grief. The main reason being because it’s NOT a one size fits all solution. Rather a kinesiology session is personalised to the individual as a kinesiologist uses the client’s own innate wisdom as to what is needed to shift and move through their grief. Via muscle testing, a kinesiologist seeks the underlying emotion which is causing the imbalance or blockage of energy flow. Therefore sometimes it actually isn’t the emotion that you logically think it is. As mentioned previously when you can name the emotion (correctly) you are able to explore and process through it. More information can be found about kinesiology via: What is Kinesiology? Scientific evidence shows that when a person writes they are accessing both aspects of their brain. The physical act of writing accesses our analytical and rational left brain as well as engages our creative, intuitive, feeling right brain. By engaging both hemispheres we increase our innovation, meaning we are able to transform and transcend situations. James Pennebaker, a professor at the University of Texas undertook over forty years of research as to how journalling helped the individual to process significant emotional experiences. His researched demonstrated that by spending 20 minutes per day journalling participants experienced significant improvements physically and mentally. Unlike journalling, the concept of writing and burning is that whatever you are about to write you will not be keeping. What I like about this is that when we know we aren’t going to keep it , and thus no one will ever see what we have written, we tend to get more honest on the page. In addition to this the act of burning the page/s is symbolic and ritualistic. It takes the written page and transforms it into ash, something the earth can re-cycle for a positive purpose. Research shows that silence has many positive benefits. Silence can be meditation however is not limited to that. Silence can simply be spending time on your own without distractions. It helps the hippocampus to grow new brain cells. The hippocampus is an important part of the Lymbic system and is involved in the formation, organisation and storage of memories. It is also involved with learning and the formation of emotions. Silence works to balance our left and right brains, which results in whole brain synchronisation. Thus neither our emotions or logic overwhelm the other. This assists the brain in the sorting of information, enabling us to gather and process information. The positive impact to important body and brain chemicals. Such as Melatonin; known as the “sleep molecule”. It is known to is known to inhibit cancer, strengthen the immune system and slow down the ageing process. Serotonin; known as the “happy” neurotransmitter because it has a profound impact on our moods. It is also thought to help regulate mood and social behaviour, appetite and digestion, sleep, memory, and sexual desire and function. GABA; is known as the “calm chemical” as it helps to control fear and anxiety. It sends chemical messages throughout the brain and the nervous system and plays an important role in behaviour, perception, awareness, comprehension as well as how the body response to stress. DHEA; which is known as the “longevity molecule” as it counteracts cortisol. It also helps lower depression, sadness and irritability. It helps increase our ability to deal with stress and reduces worrying. It also helps increase motivation and energy levels. Endorphins; the “natural high” hormone. As they interact with the opiate receptors in the brain to reduce our perception of pain, similar to how morphine and codeine work. Growth Hormone which sustains our tissues and organs, helping keeping them “youthful”. Cortisol, which is one of the major stress hormones, is reduced. Too much can wears down the body (and brain). Destroying healthy muscle and bone, blocking the creation of good hormones. It can create anxiety, depression, increased blood pressure, brain fog, insomnia and inflammation. This entry was posted in Kinesiology, Relationships, Spiritual and tagged Grief, Grieving, Healing, Kinesiologist, Kinesiology, Woundology, Wounds on 21/08/2018 by Lisa Westerlaken. Are you aware that ALL your choices, whether they are empowering or disempowering choices are actually supporting you? To make a choice is the act of choosing between two (or more) alternatives. Choice then gives you possibilities of an outcome. So when you make a choice you are simply deciding what is best for yourself in that given moment. However it could be in that given moment, you are inadvertently supporting an aspect of yourself which isn’t in aligned with your long term goals / outcome you desire or what is really important to you. For example lately I’ve been choosing to watch Orange is the New Black (a TV show on Netflix). This choice isn’t a “bad” choice as it has supported me by having balance by giving me some down time. However by making this choice I’ve also been able to avoid writing and thus “supporting” myself by not having to address a fear I have around writing. At the time I didn’t realise that the less than great choice (to watch TV) was actually supporting my fear. This is true for many people, they are often making choices not have awareness of their known or unknown motivation behind the choices they are making. Ideally you want to become aware of the unconscious (or conscious) patterns that are impeding or sabotaging you from what you want, kinesiology is one effective way to do this. As kinesiology bypasses the conscious mind using your innate wisdom to increase your awareness and thus expands the choices available to you to make. It is also important to know that at times your choices will be made from habitual actions due to the neural pathways which have been reinforced and thus ingrained to become an automatic choice. Which means you will usually have limited awareness until after the fact. When we have greater awareness around our choices, we also have a great capacity to take responsibility and accountability for them. Thus enabling us to create new and empowering neural pathways that lead us to make more suitable choices which long term become the new norm. Self Awareness: The key to making empowering choices is awareness. When you are aware of what is driving your choice, whether it be an emotion, mood or re-action, then you have choice as to how you want to act and be. Without awareness you are operating from a habitual nature. At the end of the day reflect the choices that you have made. What was each choice supporting specifically? Were they empowering or disempowering? How did you feel at the time you made that choice? What were you thinking about? What would help you to make different choices? Often people beat themselves up for making “wrong” choices, however ultimately a choice is just that, a choice. There is no right or wrong choice, as every choice is supporting you. However if you feel you’ve made a less than great choice, one which doesn’t support you, then just make another choice that does. This entry was posted in Health and Wellbeing, Kinesiology, Relationships and tagged Choices, Confidence, Courage, Decisions, Ownership, Responsibility on 06/04/2018 by Lisa Westerlaken. Self-esteem is our sense of our own value and self-worth. Contradictory to what we have been led to believe, our self-esteem is not a stagnant way of being. In fact most people, especially women, experience fluctuations with their self-esteem. Likened to an ocean wave when we are on the upside of the fluctuation, we feel confident, love who we are and see our own worth and value. However on the downside we will second guess ourselves, have doubt and be over critical of ourselves. Such ups and downs are normal, in fact they are considered as essential as long as we manage them effectively. As we are reminded by the Yin/Yang symbol, dualities which are seemingly opposite or contrary are actually complementary and interconnected. Dualities in life, and they are everywhere, cannot exist without the other. Thus dualities ~ such as the ups and downs ~ are required to be whole. The more acceptance you have that the self-esteem fluctuation happens, as well as understanding it is normal, the more likely you are to minimise the depth and frequency of the “wave”. When you can “ride the wave” you are able to allow flow and let go. When we allow flow we also allow synchronicity. It is important to know and accept that when you are on the downside of the fluctuation (wave) this is when your negative emotions, baggage, “stuff”, things you’ve not dealt with are more likely to present. What exactly are your emotions? “An emotion is a complex psychological state that involves three distinct components: a subjective experience, a physiological response, and a behavioural or expressive response.” (Hockenbury & Hockenbury, 2007). The word emotion originates from the French word “emouvoir” which means to excite. As well as the Latin word “emovere” which means to move. Your emotions serve to motivate you to take action (move) towards things that excite you. Emotions also serve for you to take action in order to survive and thus keep yourself safe from danger. Running from, not dealing with, or pushing your emotions away only makes them stronger and persistent in trying to get your attention. It’s the adage, whatever you resist, persists. Your emotions then control you, rather than you be in control of them. Whilst it is important to take actions that build your self-esteem, it is also important to understand that the downside of the wave is an important time for you to undertake emotional spring cleaning. When you seek to understand the reasons as to why the emotions are presenting themselves; by being compassionate and nurturing yourself you loosen their grip in order to achieve release and healing. Recognise what it is that you need right now and give that to yourself. Is it loving words of support from yourself? Is it time in nature? To go shopping and treat yourself? To take time out and go to the beach or to read a good book? Grab a pen and paper and write. Consider what event, situation, place or person the emotions relate to and allow the words to flow onto the page, getting raw and honest with yourself. How do you feel about what happened? What has been left unresolved? What was the impact? What were the negatives? and what were the positives (yes there will be some)? and what are the insights you need to release and let it go? Find a nice patch of grass or sand and stand on it barefoot. Connect in with the earth energy and imagine the negative emotions as well as anything that relate to them releasing from your body down through the soles of you feet into the core of the earth where this negativity will be transformed and transmuted. When you can accept that your self-esteem will fluctuate and that this is normal, as well as be vulnerably brave to address and heal what you need to, you will find that you have greater distance in between the fluctuations. This entry was posted in Health and Wellbeing, Kinesiology, Relationships, Spiritual and tagged Balance, Healing, Kinesiologist, Kinesiology, Self Confidence, Self Esteem, Self Love, Self Worth on 16/03/2018 by Lisa Westerlaken. In reviewing various reference books and other sources there wasn’t a great deal written about loneliness. Perhaps it is because it is a topic not often spoken about and perhaps a topic that can be less than easy to address. Two substantial ideas that in relation to loneliness is one, there are different aspects of loneliness. Such as being in a new situation type of loneliness or lack of close friends loneliness or having no time for oneself or too much time to oneself. Or the one I often come across in clinci is that type of loneliness when a person isn’t in a relationship. The second substantial idea is that loneliness is a feeling not a fact. Considering that feelings are the reaction to an emotion, in the instance of loneliness sadness that is typically the trigger. It is interesting that emotions are a “subjective experience”. Which means that despite (at times) people experiencing the same situations, events, relationships, places, etc the interpretation of such WILL differ. The reason people interpret information differently, and thus experience differing emotions, is due to the trigger of a conscious or unconscious thought / belief. So what is loneliness for one person is bliss for another. Being a kinesiologist, I love the concepts we use from Chinese medicine. Thus it is interesting to draw information from this perspective. In Chinese medicine loneliness relates to the Metal element, more specifically the Large Intestine meridian. Meridians are channels through which energy flows in the body. They relate to certain organs, muscles, emotions and life lessons. The large intestine also relates to other attributes as self worth, feeling worthy of love, fear of rejection, letting go of guilt and grief as well as self imposed isolation. Delving deeper into the 5 Element concept of Chinese medicine the Metal element is controlled by the Fire element, of which the Heart meridian belongs to. Lessons of the heart meridian are self love, peace, richness, to radiate and acceptance to allow free flowing of energy. What we can draw from this relationship is that when our heart meridian, or heart centre, is out of balance it will seek to dominate and draw energy from the large intestine meridian. Whilst there are various things that can put a meridian or centre out of balance typically with the heart meridian it is a lack of self love, forgiveness or acceptance of a situation. The flow on result of the heart meridian imbalance is that it starts controlling the large intestine meridian. Such control causes the large intestine meridian to become deficient and thus doesn’t have the energy to flow appropriately. Thereby resulting in a lack of self worth, heightened fear of rejection and/or heightened sense of loneliness. As with many things there can be more than one solution and you’ve got to find what is right for you. Here are some suggestions which could work for you. Our emotions derive from what we are thinking and/or what we believe. We know that loneliness derives from sadness. So what are you thinking, or what do you believe that makes you feel sad. 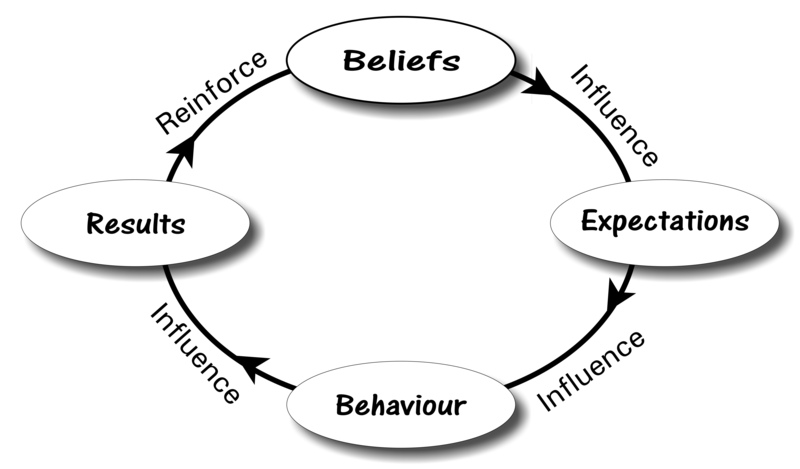 Beliefs are a self fulfilling prophecy. What we believe creates an expectation of what is likely to happen, this influences our behaviours (as well as how we feel) and then creates the basis of what actions we do or don’t take. In turn the actions or activities that we are doing or not doing will be the result or outcome we achieve. This means that if you want to change your results or your behaviours, you need be aware of your beliefs to ensure they support what you want to achieve and who you want to be. Positive / empowering beliefs are permission slips for getting the outcomes you want. As we have just learnt from a Chinese Medicine perspective it is important to ensure that the heart chakra is balanced. A key way to do this is to love and nourish yourself. The best way to cultivate self love is to know who you are. So list your positive traits, what is it that you love about yourself and what others love about you. Now list your not so great traits, all those negative ones which you don’t really want to own up to. Once you’ve got your list now find the benefit to those negatives. What is great about those negative traits? How do they benefit you and how are they a benefit to others! As to nourishing yourself, these are things or place which make you feel good. Maybe it is doing your nails, or going to the beach or for a walk, perhaps it is having a bath or just lighting candles. Whatever it is for you, start loving yourself enough to do it! Another way to strengthen your heart space is to start each day with being heart unified. Place your hands in your heart area. This helps to bring your consciousness from your head into your heart. Now consider what are you (or could you be) grateful for? Who are you grateful for? What happened today or yesterday that you are thankful for? What makes you happy? or makes you smile? Many people who experience loneliness complain that they are always there for others, however feel that others aren’t there for them. In my experience this is often because others consider them to be strong and self reliant person, thus not realising that they too need support. Therefore sometimes you need to speak up with your friends and let them know how you feel. Explain to them your needs and what you require from them. When clients have done this they have been surprised how much their friends didn’t realise they were needed and how much they were loved. Consider the Yin / Yang of your situation. The familiar Taoist yin/yang symbol is a symbol which reminds us of the dualities in life, and that such dualities create the whole. It reminds us that every aspect of life has an equal opposite. Such as male, female; sun, moon; earth, water; good, bad and positive, negative. One aspect cannot exist without it’s reverse. When we see the polarities of a situation in equal amounts we become balanced about the situation, person, place or thing. It is when we are in such balance that we also are at peace about that and thus have acceptance. So see the benefits / drawbacks of what you are feeling lonely about. Make sure you have more than 15 benefits and ideally 50. Also ensure that you have equal (if not more) benefits to help you shift into acceptance. Rather than wait until <x> happens, start right now to live your life to it’s fullest. What have you been putting off? or what haven’t you had time for? Rather than be immersed in your loneliness use this time to achieve things for yourself. If / when you are home alone, turn on the radio or play your favourite CD. Fill the void with positive sounds and vibrations. One of the core concepts of sound healing is that a strong vibration will cause a weaker vibration to vibrate at the stronger frequency. Therefore the right vibrations and sounds can help to help restore your natural equilibrium. Connect with others – Contact friends, family or associates whom you haven’t spoken to for a while. Get out and about – This might include visiting people, going for a walk, sitting at your local cafe or library or even going out to social functions. Be a part of the community – Consider a new hobby and/or learning something that interests you. You might join a local club or association. Volunteering – Get the focus off you and onto others by volunteering. Its also a great way to connect with like minded people. Consider getting or caring for a pet –pets are wonderful companions and can provide comfort and support during times of stress, ill-health or isolation. If you can’t have your own there are plenty of options where you can take someone else’s pet for a walk. This entry was posted in Health and Wellbeing, Kinesiology, Relationships and tagged Emotions, Kinesiology, Life Coaching, Loneliness, meridians, Psychic, Reiki on 18/10/2017 by Lisa Westerlaken. No matter how much personal development or “work” we do on ourselves there will always be people, situations or things that happen which will stress, challenge and most likely upset us. Resilience is the one thing that makes a major difference to how well we “bounce back” from such times. Resilience is the ability to adapt, overcome and rebound from less than easy life events and experiences. To be able to change and approach how we view and address such situations as effectively and beneficially as possible. It has often been described as an art and perhaps it is, however I more so consider it to be a quality that anyone can create. Resilience can be described as a choice; a choice to rise beyond adversity. To transcend the pain, stress and unhappiness to develop mastery over how something affects you. To develop a strong self worth and belief within yourself and your capabilities. Thus to know that you can handle anything that comes your way. Due to our personal history, influential people in our life and the environment we have been brought up in, resilience will vary from person to person. Also during our lifetime our resilience can fluctuate. So whilst some people will be more resilient than others, most people will need to develop this trait. The most common way to do this is to experience challenging situations however there are methods we can consciously engage to help build resilience. As previously mentioned anyone can build resilience if they choose to. For some, due to their circumstances and adversities, they may already have resilience however they may not have acknowledged it. So perhaps the first step is to consider and acknowledge where you actually do have resilience. What are those situations where you’ve been able to demonstrate the above traits? Start each day with being heart unified. Place your hands in your heart area. This helps to bring your consciousness from your head into your heart. Now consider what are you (or could you be) grateful for? Who are you grateful for? What happened today or yesterday that you are thankful for? What makes you happy? or makes you smile? Know yourself to Love yourself. List your positive traits and strengths. Now list your negative traits. Now what are the positives / benefits of those negative traits. Redefine what perfection is. Know there is perfection in imperfection and consider this: how do you know that what you consider as “imperfection” is not actually perfect?!! Consider what is in your sphere of influence and what is not. Give energy only to those things that you can influence and/or change. Let go of what you can’t. Resilience is similar to Rome, it wasn’t built in one day. If you are serious to building it then you will need to commit to taking actions on a regular basis. When you do this you will find the easier it does become to bounce back from those challenging and stressful situations. This entry was posted in Health and Wellbeing, Kinesiology, Relationships and tagged Building Resilience, Inner Strength, Innersagisms, Kinesiologist, Kinesiology, Lisa Westerlaken, Reiki on 12/09/2017 by Lisa Westerlaken. Self confidence isn’t something you can buy off a self. It is a way of being which you create, or perhaps access, internally. To possess self confidence is to have belief, trust, faith and an assiduity in who you are and/or your abilities. It is an internal state about what you think and feel about yourself. Also depending on what is happening around you, and how you process / respond to those situations, people, etc means that your self confidence is a changeable state. Building self confidence gives you a tool you can draw upon to stop second-guessing yourself, to release doubts, manage your fears and to take action. Self confidence can be likened to a muscle; in that the more you use it the more you strengthen it! Commonly I have found with clients, when asked what do you need to do to build their self confidence, their response to be “I don’t know”. For some it is such a foreign concept and thus they don’t know where to start. Focus. At the end of the day review what you achieved and/or what you did well. Place your focus on what you are doing, rather than what you aren’t doing. Recognise and celebrate your achievements – it’s healthy to do so! Self Talk. Become aware of how you speak and what you say to yourself. If it isn’t positive “cancel / delete” it and say something nice to yourself. Exercise. Go for a walk, run or to the gym. Yoga, swimming, whatever exercise that makes you feel good. Posture. Stand tall, shoulders back and head high. Scientific studies show that posture impacts the brain! Learn something new. Not only does it help make new neurological pathways it also helps show you that you can grasp new information. Do something “fearful” each day. By doing so we are teaching ourselves to “feel the fear and do it anyway”. Each time building your confidence muscle that you CAN achieve things. Smile. According to science smiling increases endorphin’s which in turn create positive emotions; including confidence! Know yourself. Understand all aspects of who you are; what your strengths are as well as what you consider your less than great traits are. The next step is to find the benefits to these “weaknesses”. When you know who you are and love all aspects of who you are then no one else can affect you. Trust your instincts. We all have an innate knowing within, learn to listen to it and have faith in what you feel is right / wrong. Emanate someone who is confident. Consider someone you respect and whom you feel is confident. Identify what it is they do differently that conveys confidence and how you can embrace that. Stop comparing yourself. When your compare yourself, you automatically put your self down and discount your own positive aspects. Get clear on the things and people that truly matter to you. Create a list of the things or people you have been tolerating and then consider what action you need to take to either remove or minimise the impact. Manual control. Disengage your auto pilot and be mindful about your decisions so they reflect what really matters to you. Create an action plan. Be deliberate about action you will take and commit to following through. Ensure you acknowledge the actions and benefits so you can see your progress. It helps grow confidence and give self reinforcement. Being confident isn’t a goal or an end-point that you reach and then stop. It is an ongoing and continuous process. Confidence can be likened to a flowering plant. It doesn’t flower on command, instead after being nourished via various ways it flourishes; over and over again. This entry was posted in Health and Wellbeing, Kinesiology, Relationships, Spiritual and tagged Confidence, Kinesiologist, Kinesiology, Mind Body Spirit, Psychic, Reiki, Self Confidence, Self Love, Self Worth on 26/07/2017 by Lisa Westerlaken. I understand first hand how challenging it can be to practice forgiveness. Many years ago I found myself in the Family Court system. Being in the “system” for approximately 4 1/2 years, and over $150,000 later, it was a constant test of my resilience as well as my ability to forgive. I’ve been told that I am fair and honest in how I present what happened duri ng that time and that whilst I can easily justify self-righteous anger, blame, and resentment, I came to realise that such a position only kept me connected to, and as a victim, of the other party. In choosing to let go of destructive emotions such as anger, blame and resentment you free yourself from being chained to your “perpetrator”. Forgiveness is the ultimate act of love; not for the other person yet for yourself. When you free yourself, you can genuinely move forward in your life. Anger, blame and resentment can be destructive emotions. These strong emotions trigger the body’s fight, flight or freeze response, which in turn activates the adrenal gland hormones of cortisol and adrenaline. Short term your body is designed to cope with these hormones, however longer term such hormones can hamper almost every bodily system and process. Forgiveness cultivates love, peace, compassion; it is one of the best forms of self care and nurturing that you can do. These productive emotions generate oxytocin in the body which is known as the comfort and trust hormone. It counteracts cortisol. Thus love, peace and compassion have both mentally and physical benefits. Forgiveness does not mean you deny, excuse, condone or forget the seriousness you hold over the offence of what happened or the behaviour of the other person. What it does mean is that you make a conscious and deliberate decision to release feelings of resentment or anger despite whether the person (or people) deserve your forgiveness. Rarely will forgiveness happen overnight, it is a process. Brene Brown states “In order for forgiveness to happen, something has to die. Forgiveness is so difficult for this reason, because it involves death and grief. The death, or ending, that forgiveness necessitates, comes in many shapes and forms. We may need to bury our expectations , or maybe our dreams about something. But whatever it is, it has to die. It has to be grieved. Forgiveness is not forgetting or walking away from accountability, or condoning a hurtful act. It is the process of taking back and healing our lives, so that we can truly live. So the question then becomes: What has to end or die so that we can experience a rebirth in our relationships?” So for this process to happen you have to be willing to accept the ending of something or someone as you knew it. In my situation I had to let go of the person as I knew him and with whom I had fallen in love with. I also had to release the person I had become to get through that period in my life. It was was imperative that I accept that life as I had known it would never be the same – not that that was necessarily a bad thing. When we consider forgiveness from this perspective it becomes a process likened to the grief cycle. Which means in order to get to forgiveness we will go through the various stages of grief which is: anger, denial, bargaining, depression and acceptance. 1 – Denial Denial is a conscious or unconscious refusal to accept facts, information, reality, relating to the situation concerned. Typically it is a defence mechanism and as is a legitimate part of the process. For some, they will become stuck in this stage particularly when dealing with a devastating or traumatic change. Noting usually such a change which cannot be avoided indefinitely. Anger often manifests in various ways. People may become angry with themselves, and/or with others, and/or with “God”. 4 – Depression This stage is a step towards acceptance yet with emotional attachment. It can be the range of emotions from sadness and regret to fear and uncertainty. The person recognises the mortality of the situation and has begun to accept the reality of what is. 5 – Acceptance In this stage the person has realised that they will be ok. The person tends to have a more calm and retrospective view. They typically will have stabilised their emotions to some level embraced what now is. As the title of this article states, forgiveness is not an art as so many people put it. It really is a necessity for you to live an empowered life and to live in the present moment. Consider one or all of the following methods for you to let go. Your emotions exist for a reason and have a role to play, so honouring how you feel is important. Its OK to feel sad, angry, hurt, etc, noting there is a fine balance between acknowledging how you feel and being engulfed by your emotions (particularly the negative emotions). Once you’ve acknowledged how you feel then consider what are these emotions endeavouring to tell you, what is it that you need for that emotion to discontinue. By being upset over what someone else has done is shifting the responsibility off yourself and placing you in the mode of blame. There are two sides to the equation and when you sit on the blame side of the equation you are being a victim. By taking responsibility you acknowledge how you contributed to the situation and the part you had to play in what occurred. You then become empowered. As the Yin / Yang symbol reminds us, duality exists in everything. Including the situation around which you need to find forgiveness. What this means is that it is not all “negative or bad” and as much as there will be drawbacks to what happened, there will also be benefits. So consider what are the benefits of what happened? How was it advantageous? For you and perhaps for another? Where can you find blessings (or possible blessings) of the situation? There is a saying in Eastern philosophy which translate states: If you’re going to pursue revenge, you’d better dig two graves. Thus it is much satisfying being kind than being right. Empathy at its core is understanding the perspective of another; letting go of judgement; recognising the emotion of another as well as communicating it. Empathy is about connection with others, rather than driving them away. Whether that connection be with the person / people you are forgiving or others around you. However empathy is also about connection with yourself and finding your inner peace, so that you can attract more of that rather than attracting more discord. Consider what will cease being once you forgive. What is it you are going to have to stop or let go of? At times we become attached to a “role” or way of being that we don’t know who we are without it. It also means that once we forgive we have to take responsibility. So think about what will “die” off once your forgive. It could be that when you no longer hold anger so you have no justification of your dislike for another? Perhaps you’ll have to cease the victim role who is chasing an apology from the other person. It could be that you no longer have justification of why you are where you are in life. One of my most favourite Eastern philosophies is: Bu tong ze tong, Tong ze bu tong, which translates: If there is no free flow, there is pain; if there is free flow, there is no pain. When we allow ourselves to be like water we are fluid and adaptable to what is going on around us. We learn from previous experiences and life flows without pain. Water-like means we can re-shape ourselves and to move along with life. Forgiveness in inherently a selfish act. To forgive is primarily for your own health and well being. The bonus is that those around you, whom you love and care about, fundamentally benefit too. This entry was posted in Kinesiology, Relationships, Spiritual and tagged Forgiveness, Kinesiology, Letting go, Psychic, Randwick, Sydney on 04/04/2017 by Lisa Westerlaken. One of the things I love about being a kinesiologist is helping my clients observe their behaviours, beliefs and thoughts. Awareness being the key to change. Until recently I hadn’t realised just how many people are creating the very thing they fear. Client after client, no matter what they were working on, were sabotaging themselves from achieving their goals because inadvertently they were manifesting the very thing they feared happening. This meant instead of the “fear” maybe happening they had created it to happen. Sam* wanted to be in a relationship, however she feared being rejected. Now when Sam attracts Mr Right there is a 50% chance she may be rejected, however there is also a 50% chance that she may have a loving supportive relationship. Yet before Sam could even meet Mr Right, she was already living in the pain of being rejected. Evie* wanted to let go and be accepting, however she feared not being in control. When we looked at this in depth because she couldn’t let go it caused her additional work. This caused her frustration and resulted in her loosing her temper – she lost control. So not letting go ultimately caused what she feared. In all of the examples I have where clients were doing this, they actually weren’t aware they were doing it. Many people are so busy in their days to days lives they don’t have (or make) the time for self awareness. And many people when they are self aware don’t have the tools to shift or change their habit, belief and/or pattern. What we focus on, consciously or unconsciously, is what we attract. Even if what we are focusing on isn’t beneficial for us. Defensive driving instructors advise that if you are in a car accident focus on where you want / need the car to go. Do not look at the wall or tree that may be near. The reasons for this is because your actions are more likely to support you in taking the car in the direction you are looking at. So too in life, wherever we put our energy (which is what we think about, talk about and look at) will determine our actions and behaviours. In all the examples I have people had been focusing on what they didn’t want to be instead of what actually could be. As soon as they realised this it opened them up to different, and positive, possibilities. Beliefs are one of the most powerful directive forces in our lives. They are generalisations that we have of ourselves and the world around us, which become the principles that we chose to live by. Simplified, beliefs are what we consider to be true and therefore create and shape our reality – our map of the world which we consider to be real. Fear is programmed in our genetic coding from the time of our prehistoric relatives. At a time when it was vital for them to respond effectively to physical and emotional dangers. Our Prehistoric ancestors needed fear in order to protect themselves from legitimate threats. In this day and age whilst threats exist, we no longer need to be on such high alert. However without the reprogramming of the amygdala we still have a safe hold on this response. When you do something you fear, you are in fact practising courage. The more fearful things you do the more you train your brain not to let fear stop you. It’s kind of like building a muscle, yet in this case you are building your courage muscle. So each and every day do something you fear (which is safe and within reason). Whilst it might not be the very thing you fear, it is inadvertently helping you to choose to act in the right way with any fear. To change your focus you just need bring awareness to what you are placing your attention to. This can be done by being mindful of how you are feeling. If you aren’t feeling good then it is likely you are thinking about something which isn’t serving you. What is great about the <issue> right now? What are the benefit of <issue>? What is going well in life? What can I do today that will support what I need? Commonly it is thought that our beliefs have a hold on us when in fact we have a hold on them. The first step to changing beliefs is the desire to let them go. Consider the topic which you want to examine your beliefs about. Write down all your thoughts about that topic. You could also bring awareness to what you say to yourself about this topic and/or what do you say to others. When / if you have any negative feelings arising when you think about or doing this topic, consider what you were thinking to cause that feeling. What does that mean to you to believe that? How does it serve you? Where and when did you start believing that? What will happen if you change this belief? What are the benefits of not solving your belief? What are the consequences of continuing to believe that? What examples/references do you have where the opposite is true? What belief is equally if not more so true? The pre-frontal cortex is the part of our brain which holds the key to our executive functions such as: reasoning, problem solving, innovative, understanding and perception, impulsion, creativity and perseverance. Functions that help us think before we act. The amygdala in fact is the opposite, it often cause emotive reactions. However the pre-frontal cortex has dynamic inhibitory circuits which mute and still the amygdala. By being aware of habit this you can start living in the now. When you live in the now you have an improved probability to creating what you really desire! 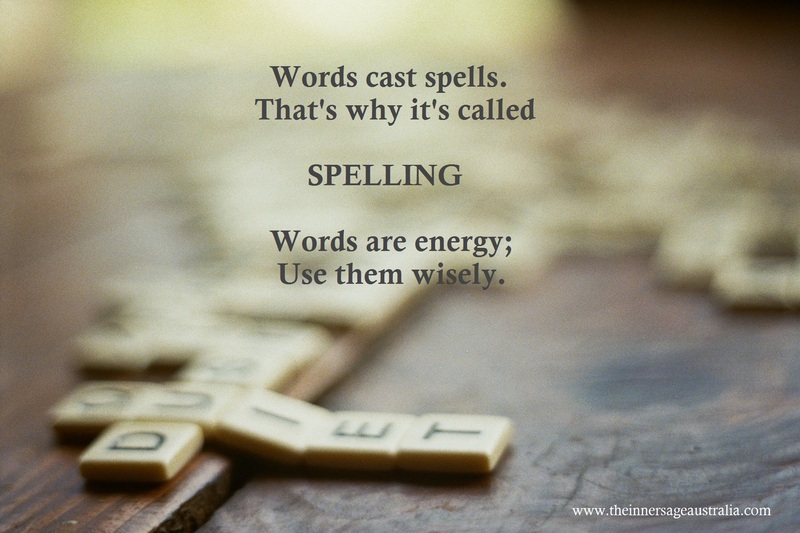 This entry was posted in Kinesiology, Relationships, Spiritual and tagged #fear, beliefs, Kinesiology, Psychic, Randwick, Sydney on 27/03/2017 by Lisa Westerlaken. A few years ago I was in a relationship that wasn’t supportive of me. I was unsupported as to who I am, what I believe in, my wants and needs as well as what I wanted to achieve. It wasn’t long before I realised that I was, and very quickly, loosing my own identity. I found myself terribly unhappy and waking up with anxiety on most days; which drained my energy leaving me tired and lethargic. I also found that I was loosing my confidence and thus not trusting my decisions or ability to make decisions. My relationship with my-self began to diminish. My self worth decreased as did my self love and self respect. Resulting in me almost sabotaging the very things that were and are important to me. Luckily I was studying kinesiology at the time and despite my conscious mind not wanting to see certain things, thank body my did and revealed the stresses and impact they were having on me. Alchemy derives from the Greek word khemeia which means “art of transmuting metals.” The Alchemist’s vocation was mainly two things: 1. transforming base metals into gold; and 2. seeking the elixir of life. Such an elixir would give everlasting life and cure sickness. Simplified alchemy is transforming something that is dull into something precious and finding the key to a happy and long life. Therefore Self Relationship Alchemy is transforming the how we interact with ourselves. Treating ourselves with great love, value and precious-ness! As well as living a happier life which most likely leads to a longer life! For many (women in particular) the “self” relationship, being such things as self-confidence, self-belief, self-worth, self-love and self-respect is often non existent. The lack of such qualities is seemingly acceptant just as “the way they are” and it isn’t until enormous pain and unhappiness occurs that they consider transforming this. Your relationship with yourself is reflected in ALL other areas of life. Finances, friendships, relationships, career, environments. What you do and don’t attract in life. So if you are attracting people and situations that are less than you deserve and/or want, consider how the relationship with yourself is. Set boundaries: Where are you limits of what you are willing to accept. Be clear on what behaviours, communication and interaction is acceptable for you to receive from others. Be Courageous: Once you know what you are and aren’t willing to accept them you need to be brave and speak up. Let others know that what they are doing isn’t OK and that you need it to change. Loving Activities: Do more of the things you love doing. Those things perhaps you haven’t done for while and those activities that make you happy when doing them. Attention Placement: What are you focusing on? It is empowering or dis-empowering? What “stories” are you telling yourself which are stemming from a perception rather than fact? Build confidence “muscle”: Confidence is like building a muscle, it takes time and repetitive activities. So start small and let it build! Stop loathing activities: Do less of the things you dislike doing. Better still outsource them or just stop doing them! Inspiringly Align: Read quotes, books, insights anything that lifts up your spirit and transforms your day. Resonate Essences: Find the right essence/s for you and start taking them. I’ve found them to tranformative! Treat yourself as you treat others: Often we treat others better than ourselves, so start interacting with yourself as if you were another. Actually treat yourself better than that! See your Kinesiologist: OK, this one is a bit cheeky! However in my practice I have been able to help my clients uncover the patterns and blockages that impede them from alchemising their “self” relationship. More importantly I have given my clients tools and techniques to clear them clear such blockages so that they are empowered having self confidence, love, respect, worth and self belief. Know you are not everyone’s cup of tea and that there will be people who won’t like you, who won’t agree with who you are or with what you do. In my experience, in most cases, this happens when that person is projecting their own “stuff” rather than owning it. Whatever the case is, the stronger you are within yourself, the more you know who you are, love and accept all aspects of who you are …. what others think simply won’t matter. Also the more that you invest into your “self” relationship you will find that your external world will reflect this and that you will attract more of what you deserve and desire. This entry was posted in Kinesiology, Relationships, Spiritual and tagged Kinesiology, Medical Intuitive, Psychic, Randwick, Relationship Self Alchemy, Self Confidence, Self Worth, Sydney, Transformation on 06/03/2017 by Lisa Westerlaken.